Mary Lee started Harbor Realty in 1978 after moving back to Maine from Cape Cod. A 1984 graduate of Boothbay Region High School, Ted soon enrolled at the University of Southern Maine. Upon graduation in 1988, Ted began working at Harbor Realty with his mother, Mary Lee Brown. Through the years he has been on various committees in the Boothbay Region as well as a long time assistant varsity football coach at Boothbay Region High where he was fortunate enough to coach several state champions. 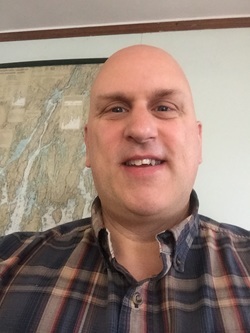 Ted is very knowledgeable about real estate in the Boothbay Region and offers a personal touch to real estate and always makes it a priority to respond to his clients and customers in a very timely fashion. If Ted is not in the office he can be found with his family: wife Lauren and daughters Page and Kylie.